Mount Vernon Estate and Gardens celebrates the holiday season with special programming from Thanksgiving weekend through early January. Special festivities include themed decorations, a gingerbread Mount Vernon, historical chocolate-making demonstrations, 18th-century dancing, and even a Christmas camel just like George Washington had on the grounds during Christmas of 1787. 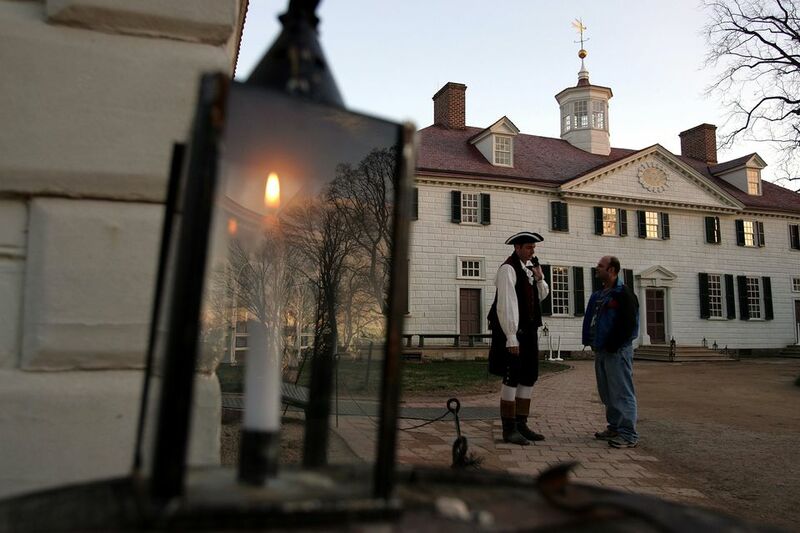 Mount Vernon is open every day of the year, including Christmas and New Years Days. December 15-16, 2017, 5:30-9 p.m. Mount Vernon will open its doors for an evening of holiday-themed fireworks and special programs. Before the fireworks show begins at 8:45 p.m., watch colonial artisans make chocolate, meet re-enactors from the First Virginia Regiment, enjoy cider by a bonfire, and learn 18th century dance moves from costumed guides. Visitors can take a tour of the first and second floors of the mansion, enjoy performances by local choirs and musicians playing 18th century tunes, and end the evening with a sparkling fireworks display set to holiday music and overlooking the Potomac River. Special tickets are required to attend this event. See chocolate making demonstrations over an open fire. The American Heritage Chocolate Program uses an authentic colonial recipe and costumed chocolatiers to reproduce the distinct flavors of the 18th century. Samples available from 2-3 p.m., daily. Chocolate bars, sticks, and spiced drink mix are sold at The Shops at Mount Vernon. Tour the third floor of the Mansion where Lady Washington lived after her beloved husband died. She never returned to their shared room and instead lived the rest of her years in a garret chamber, which was just refurbished three years ago. The third floor is only open during "Christmas at Mount Vernon." Meet "Lady Washington" herself! The popular hostess presents a charming program and takes questions in the Little Theater. Schedule may vary. See George Washington’s Christmas Camel! Washington was fond of unusual animals and plants, and he paid 18 shillings in 1787 for a camel to temporarily live at Mount Vernon for his guests during Christmas. Try your hand - and feet - at the Virginia reel, or just watch and enjoy the ambiance as costumed actors demonstrate dances that were popular in the 18th century. Demonstrations are offered in the greenhouse. Schedule may vary. Twelve festive Christmas trees will grace Mount Vernon's Ford Orientation Center and the Donald W. Reynolds Museum & Education Center. Ranging in heights of up to 12 feet tall, the trees will be professionally decorated with themes relating to Mount Vernon, George Washington, and the 18th century. Former White House Pastry Chef Roland Mesnier will create from scratch a five-foot-wide and two-foot-tall gingerbread replica of the Mansion. Traditional boughs of hand-cut greenery will adorn doorways in the Mansion, which will be staged with an elaborate course in the formal dining room. Martha Washington's "Great Cake" will take center stage and visitors may take home her original recipe. Over 100 poinsettias will adorn hallways and other paths. The Shops at Mount Vernon offer a large selection of unique decorative items including dozens of ornaments, Byers' Choice Carolers - including a George and Martha Washington! - snow globes, and wooden advent calendars.